Meet Team Vacamas & Sponsor a kid @ Camp! Meet the Campers on Team Vacamas who you support with your Sponsorship. Salonae first learned to swim on camp in Lake Larriwien, and has been an enthusiastic and model camper for three years. Counselors frequently enlist her to help first-time campers learn about the wonders of camp. 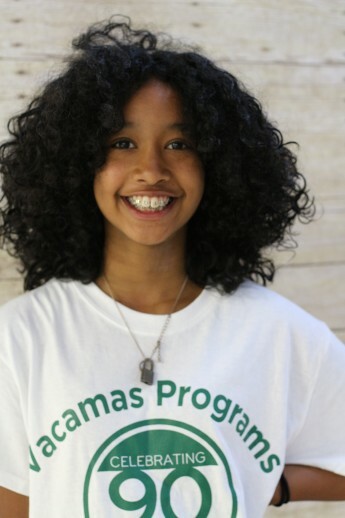 Jaliyah is a second generation camper, as her mom is a camp alum who attended in the 1990s. As a middle child she’s had to watch her sister attend camp before her but will also train her little brother when he enters camp. Jaliyah’s mom is very grateful that Camp Vacamas can also create memories for her children as it did for her. Gwendolyn first came to camp in the summer of 2014 and was the only child to attend all three trips, turning her into a camp veteran. She was so inspirational with her was such an amazing camper she became like a mini staff member. She got along with all campers and was always excited to participate in activities. A child of Russian parents, Kevin has already attended camp two summers. 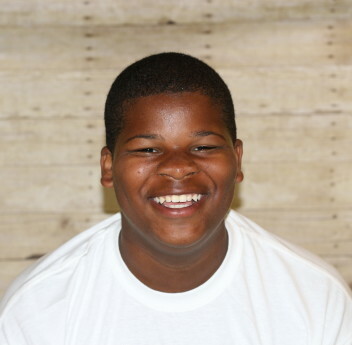 Generally shy, his friends on camp allow him to be himself and show his true personality. Kevin boasts about having many friends at camp. This was Jacob’s first summer at camp. He started off a bit shy but soon blossomed and had an amazing time. He made friends and was eager to try new activities every day. He is the younger of 2 children. Our Baseball card program has allowed Sponsors like you to help send kids to camp every year. The most affordable and simple way to Sponsor a camper is to sign up for a monthly recurring donation. We love one-time Sponsorship as well. Click on the Donate Button to learn about our Sponsorship levels and find the best fit for you! Our Campers want to share what Vacamas means to them in ONE word!